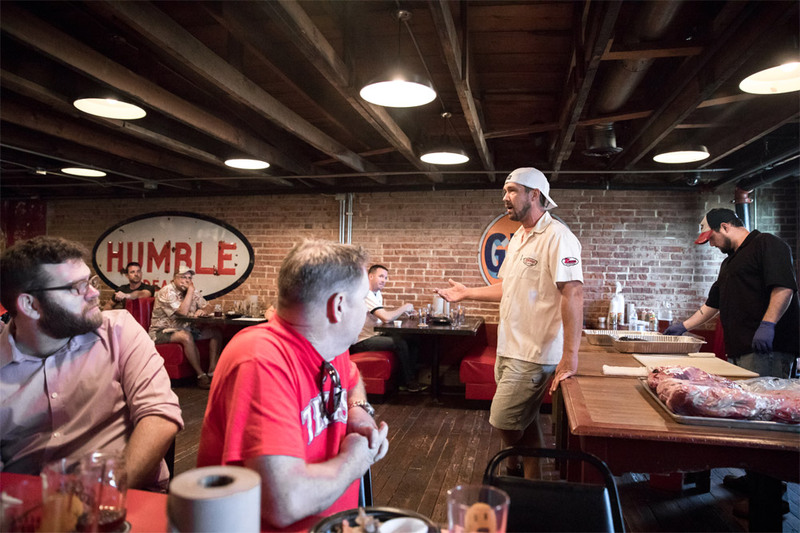 Smoke Camp includes first beer on us, about an hour of instruction time with our Texas Monthly award winning pitmasters, curriculum, Q&A time, appetizers, a Lockhart Smokehouse t-shirt and an all-around good time! We typically have camps on Monday or Tuesday nights with a start time of 6 pm. We currently do not have any upcoming camps on the schedule - check back often. "...in pursuit of becoming an instant millionaire (by opening a BBQ Food Truck in England), the investment in Smoke Camp seems a pretty good deal."